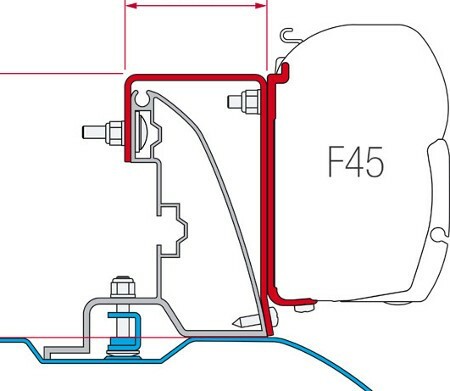 Motorhome awning installation kit suitable for F45 and Fiamma Zip awnings. 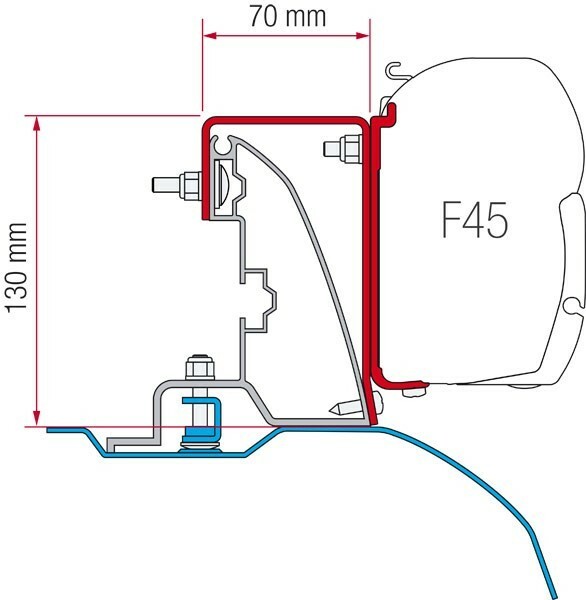 Suitable for second generation Fiat Ducato, Citroen Jumper and Peugeot Boxer between 1994 and March of 2006. Fits to Fiat Ducato with Fiat's own original roof rail system. See fitting instructions for reference. Pieces: 3pcs. 12 cm brackets.